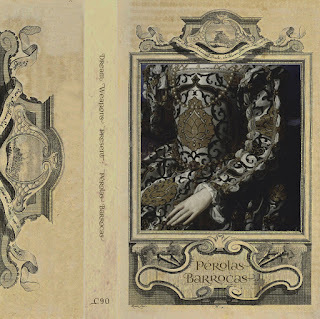 Pérola Barrocas means irregular pearls – which is the original meaning behind the term Baroque. I skipped the obvious genius of the era Bach (+ Handel...and Purcell), focusing rather heavily on the «early music» sounds of the harpsichord, harp, strings, gloomy organ and quite a lot of viola da gamba-drones. Some songs and dances, a few furiously dynamic orchestral assaults but the allegros are largely outnumbered by the adagios. Moahaha does it again… sweet perfection. Thanks! I am/was kinda uncertain to how this one in particular was going to be received by our "regulars". Always keeping us on our toes! Good mix!